Sorry, but a DOLPHIN was spotted in the Liffey in Dublin today | SHEmazing! There are a few things you may expect to find in the Liffey – a bobbing seagull, an upturned trolley, perhaps even a class of enthusiastic paddle boarders. A dolphin is generally not one of them. However, to the delight of bystanders, a dolphin was in fact spotted diving around the Liffey's waters today in central Dublin. It is thought that the dolphins unusual course may be down to Storm Diana. The dolphin is of the Common Dolphin species. 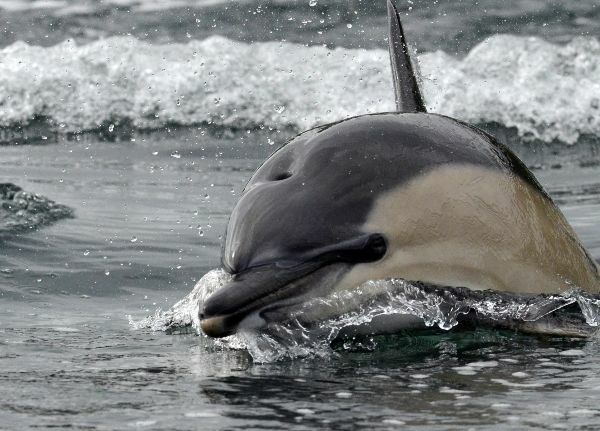 'The weather is affecting his sonar, he should return by himself to the Irish Sea but the situation will be monitored over the next day or so,' The Dublin Society for Prevention of Cruelty to Animals (DSPCA) told The Irish Times, after speaking to the Marine Animal Rescue.